The University of Santo Tomas (UST) Office for Admissions released on Friday night, March 7, 2014 the list of successful waitlisters online for Academic Year AY 2014-2015. 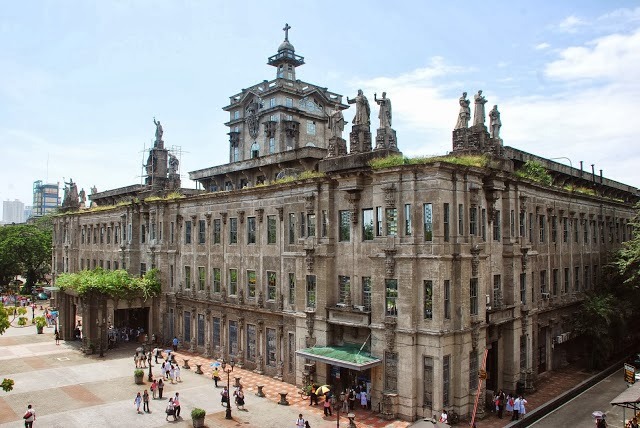 USTET was administered on September and December 2013 at UST España, Manila with the initial list of passers (results) announced on January 28, 2014. Today, March 08, 2014, OFAD will also post the names of successful Waitlisters at the Tan Yan Kee Student Center Building. The waitlisters roll include passers for Faculty of Arts and Letters, AMV College of Accountancy, College of Commerce , College of Education, Faculty Engineering, College of Fine Arts and Design , Conservatory of Music, Faculty of Pharmacy, College of Rehabilitation Sciences and College of Science. UST advised that only those with slot number stubs will be entertained for reservation. If your name is found in the list of successful waitlisters, please proceed to the College/Faculty where your program belong and secure a slot number stub starting March 10, 2014 (cash-basis only). Proceed to the Office for Admissions (OFAD) to pay the reservation fee (Php 5, 000. 00) in cash. UST also reminds that reservation is on a first come first serve basis and admission is subject to the availability of slots. In determining the list of qualifiers for USTET, 40 percent of the applicant’s total score is based on his/her high school academic performance and the remaining 60 percent came from USTET results.